Unlocking potential with the love of words | Don't mention the M word! 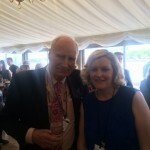 I had the opportunity to attend a rather special event, on behalf of the Wells Festival of Literature. This was an annual celebration for children’s literacy charity Beanstalk held at the House of Commons. 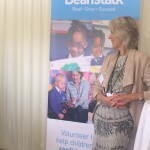 Beanstalk recruits, vets, trains and supports volunteers to provide one-to-one reading support in primary schools to children who have fallen behind with their reading. The consequences of the literacy gap in children and young people is significant, including an estimated cost to the UK economy of £81bn. WFL shares a vision with Beanstalk for promoting the love of words to all, including children, and already has a track record of working with schools. WFL has a pro-active network of people passionate about promoting literacy. Beanstalk has had no presence in Somerset, until now. WFL and Beanstalk have come together to launch Beanstalk in Somerset in 2016. WFL is helping Beanstalk with fundraising strategies, opening doors to create opportunities for the charity to realise its ambitions in this part of the world. The event in the House of Commons was very special indeed. The speakers included Joanna Trollope and superstar kids’ writer Julia Donaldson, best known for her hugely popular Gruffalo books. 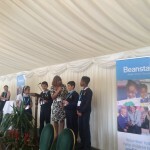 Joanna spoke passionately about the work of Beanstalk, pointing out that the UK – as a developed country – needs to pull its socks up when it comes to its levels of illiteracy. Out of 24 countries, young adults in England (aged 16-24) rank 22nd for literacy and 21st for numeracy. Julia Donaldson used her platform to allow young people who had benefited from Beanstalk’s work to speak for themselves. 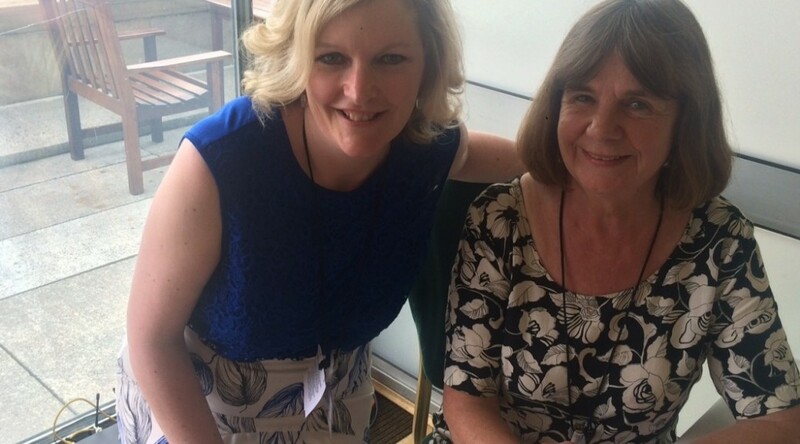 Julia Donaldson simply interviewed children, asking them what they think about reading. We learnt that they felt empowered by reading and writing, which in turn fuelled their aspirations in life. 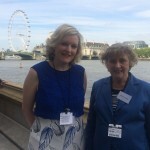 Staging the event at the House of Commons – hosted by Earl of Listowel – Beanstalk are clearly taken very seriously at the upper echelons of the UK Establishment. The foreword in Beanstalk’s annual review for 2015 includes a piece by Boris Johnson who says: “Literacy is a great liberator, unlocking a wealth of opportunities and equipping our youngsters with a vital skill they need to succeed in life”. Certainly the opportunity is unlocking itself here in Somerset now, with WFL’s support for this important charity. Joanna Trollope telling the audience the UK must do better with literacy levels. 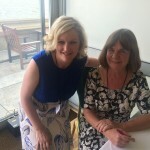 With children’s writer Julia Donaldson. Popular writer Julia Donaldson asking the children what they think. 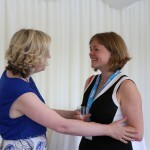 With Kate Dolleymore, Philanthropy Manager for Beanstalk.